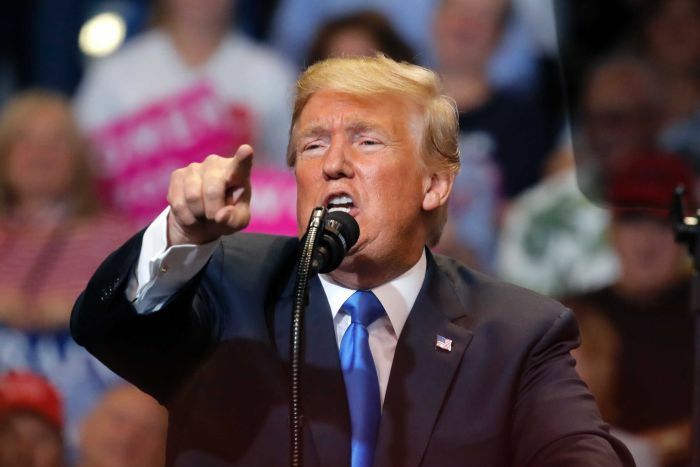 US President Donald Trump has said he asked Secretary of State Mike Pompeo to study South African “land and farm seizures” and “killing of farmers“, prompting Pretoria to accuse Mr Trump of stoking racial divisions. Mr Trump’s comments have inflamed an already high-octane debate over land in South Africa — a country that remains deeply racially divided and unequal nearly a quarter of a century after Nelson Mandela swept to power at the end of apartheid. The rand currency dropped more than 1.5 per cent against the US dollar in early trade on Thursday after Mr Trump’s tweet had circulated in South Africa. South Africa’s foreign ministry will seek clarification of Mr Trump’s comments from the US embassy in Pretoria, President Cyril Ramaphosa’s spokeswoman said, adding that Mr Trump was “misinformed“. A tweet from South Africa’s official government account rejected the comment, saying the tweet “seeks to divide our nation“.